This post is a part of our on-going look at pricing photography. For many photographers, shooting on location – whether in a rental studio, event hall or hotel – is a fact of life. 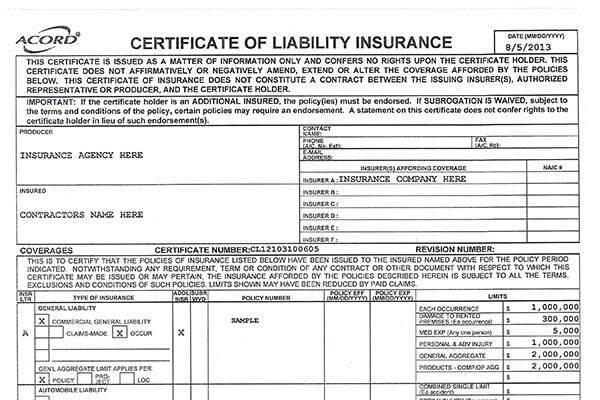 It isn’t unusual in these circumstances for the venue and/or client to request a Certificate of Insurance (COI) which verifies that you hold a specific type of insurance that will help insulate them against claims (e.g. a falling light stand). A client requests a COI in the name of the venue and the client the day before the shoot. Should the photographer add a fee as a line item, or assume this as a cost of doing business? How Would You Price It? We asked three photographers how they would approach the added request. Once a location/venue lets us know the COI is required, we tell the client. 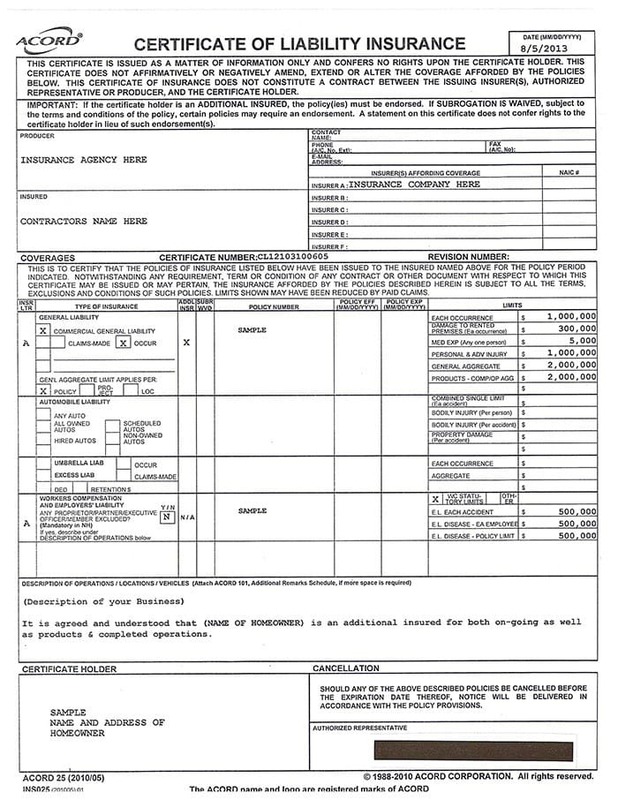 We’ve always tacked it on final invoices, no mark-up. I usually add $125-$150 per day for my coverage on commercial jobs. I’ve never had an editorial client pay it unless they specifically ask for it. I have full business coverage including the normal liability coverage, but also errors and omissions which covers mistakes on my part or lost cf cards or hard drive failure. I’ve never had to use it ( in fact I’ve never had to use any if the business insurance at all), but the idea is that if something happens I am covered to recreate the shoot at no expense to the client. If I was getting charged for it I’d add it in for sure. That said I’ve never had to pay for one and Hill and Usher have gotten them for me within 15 minutes before. What did the photographer charge in real life? How do you obtain a Certificate of Insurance? If you already have a commercial liability policy, your agent can usually issue a COI within 24 hours. Some brokers charge a fee, while others issue it for free. Coverage amounts are determined by your policy, but usually vary from $1-3m. You should ensure that your coverage amount satisfies the needs of the client and venue. You cannot receive a COI with a personal policy. Learn more in our free guide, What Photographers Should Know About Insurance. I have it included in my CODB, (Cost of doing business). I used the calculator in the NPPA website. My insurer send my COI via email as a PDF. Any client wanting to view or inspect it is more than welcome, I email it to them. I charge ($95) for it, simply because it’s more work (sure it’s easy) but usually clients wait to the last minute and I’m busy.